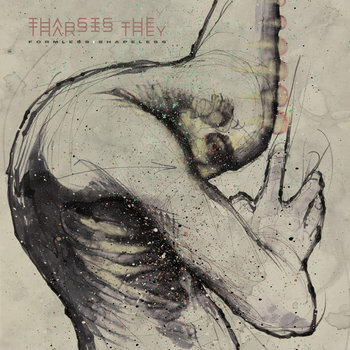 A band like Tharsis They will bring you back to the mid 2000's when chugging guitars were meeting off time drum signatures for the first time. While the band makes great use of the noodly guitars and off time drums, they also have a tendancy to bring on some straight forward fast parts and even the occasional 4/4 time breakdown. I have to admit to liking the parts when this band thinks outside of the box, employing crazy guitar scales and abrasive drum fills. There's no lack of musical ability on this team. Lyrically the band stays on the abstract side of things, but the words seem well-written and thought out, while still open for interpretation. The vocals can, at times, fall a little bit too far to the tough guy side for me. Songs stay around the 2 minute range, delivered a really focused sound that has no need for extra frills.